The new Serafin Ensemble, �The Serafins,� consists of internationally acclaimed performing artists (string, wind, piano and vocalists) devoted to collaborative chamber music performances of repertoire for up to eight players. 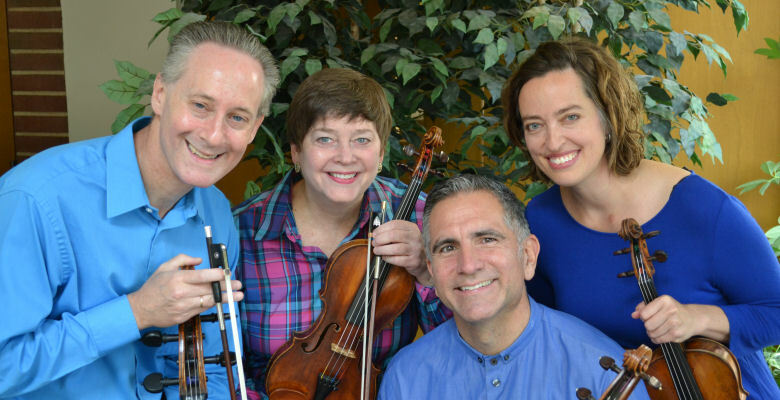 The ensemble evolved from the former Serafin String Quartet and continues the nearly two-decade-long Serafin legacy of passionate commitment to presenting exceptional performances of small ensemble repertoire. Announcing Serafin Summer Music — June 20-30, 2019 — presented at The Music School of Delaware in partnership with The University of Delaware Department of Music sponsored by William J. Stegeman, Ph.D. The Serafins, in partnership with the University of Delaware Department of Music and The Music School of Delaware, announce Serafin Summer Music 2019. The ten-day festival, sponsored by William J. Stegeman, Ph.D., features eight scintillating performances by eighteen accomplished artists. Serafin String Quartet's world premiere recording of early chamber works by Pulitzer Prize-winning composer Jennifer Higdon was released by Naxos. "The Serafin apply a silken finesse and gritty vibrancy to their duties and members of the ensemble take part in several other works with first-rate colleagues - pianist Charles Abramovic and bassoonist Eric Stomberg - to telling effect." Serafin String Quartet's debut CD released by Centaur Records. "...effortlessly delightful in Gershwin's Lullaby [which is] played with style and sophistication. The sound is full and clear." Copyright © 2019, Serafin String Quartet. All Rights Reserved.